Height: 48 inches to top of ball. Fits opening width: 72 inches. 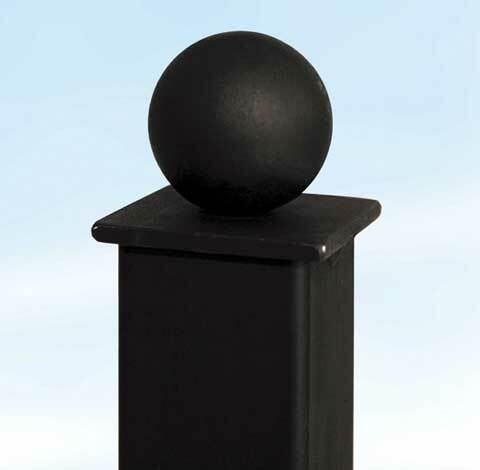 Primed in Black – after fitting a finishing coat of paint is required. 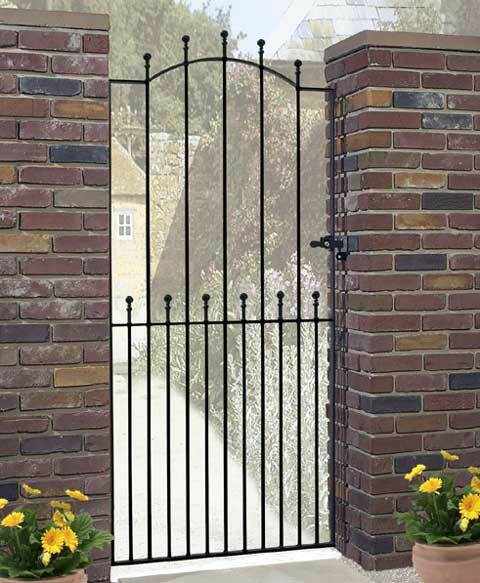 Electro-Galvanised & Powder Coated – provides added rust resistance. 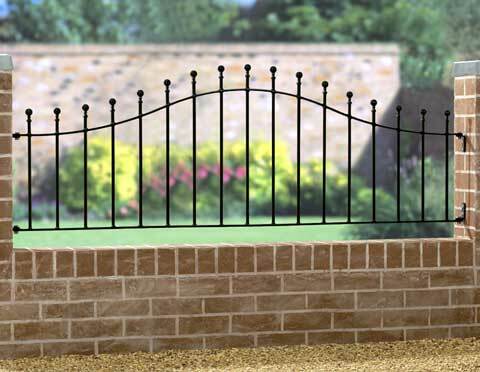 The width measurement refers to the actual opening (between posts, walls or brickwork) not the fence width. A pack of screw-on/bolt-on fittings to fix to existing timber or brickwork. 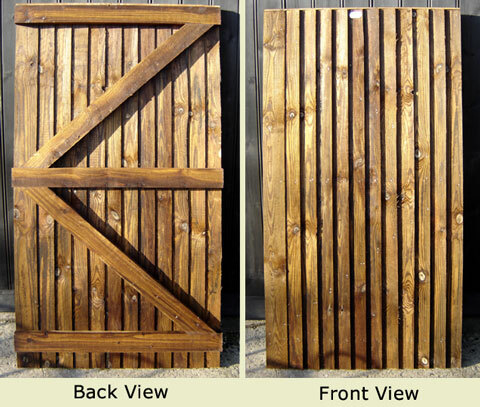 Suitable posts for this fence are shown below under ‘Recommended Accessories’. If you wish to mount the fence on steel posts, please allow for the width of the posts. 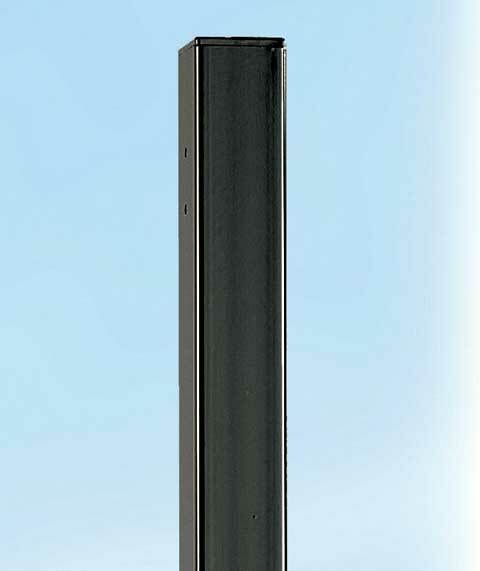 For example; a fence fitting a 72-inch opening with two 3-inch posts will fill a 78-inch gap. An installation service is available for the North Hertfordshire area. 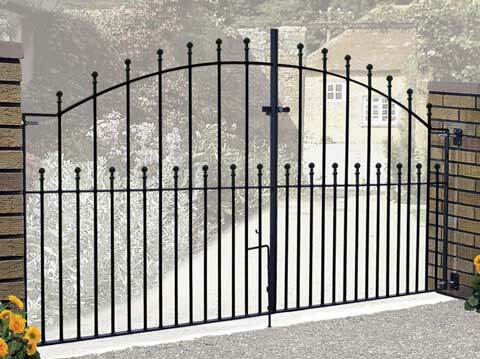 Most gates, fences and railings are available ex-stock for 7-10 days UK mainland delivery. If you would like this fence made to measure please contact us with your requirements, including the size and quantity you require, and we will get back to you with a price. 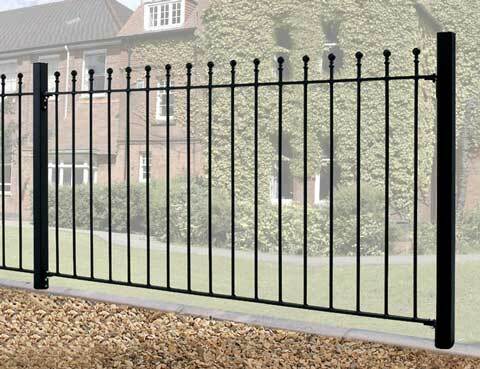 We offer free UK delivery, on orders over £50, for all steel palisade, wrought iron railings, wrought iron fences and wrought iron gates. Free delivery is offered automatically so long as your shopping cart contains only eligible products. Jarrett Fencing, Unit N, Aston Bury Farm, Aston, Stevenage, SG2 7EG. 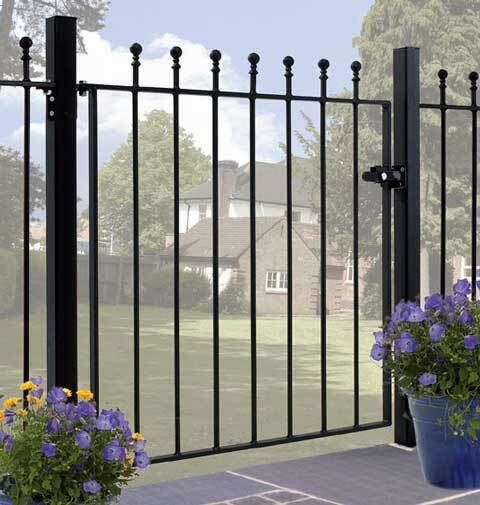 We have been manufacturing, suppling and installing fencing and other garden structures since 1979. We supply Herts, Beds, London and beyond.